The accuracy of automated classification (labeling) of single patterns, especially printed, hand-printed, or handwritten characters, has leveled off. Further gains in accuracy require classifying sequences of patterns. Linguistic context, already widely used, relies on 1-D lexical and syntactic constraints. Style-constrained classification exploits the shape-similarity of sets of same-source (isogenous) characters of either the same or different classes. For understanding tables and forms, 2-D structural and relational constraints are necessary. 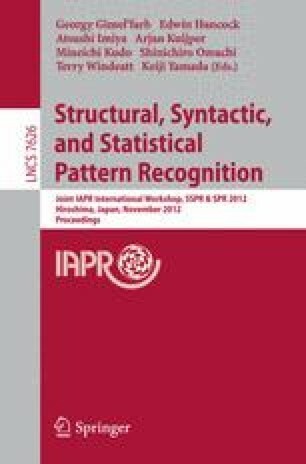 Applications of pattern recognition that do not exceed the limits of human senses and cognition can benefit from green interaction wherein operator corrections are recycled to the classifier.